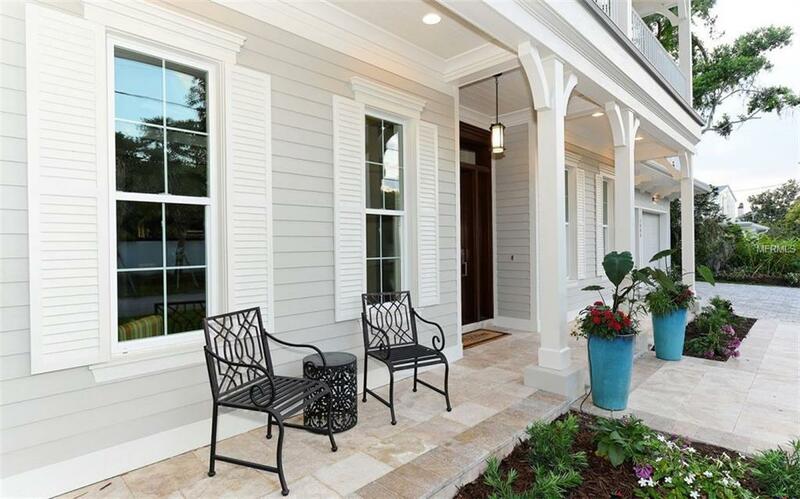 THE PERFECT WEST OF THE TRAIL LOCATION, plus beautiful NEW CONSTRUCTION, JUST COMPLETED! Amazing details, stylish dcor & fabulous spaces. 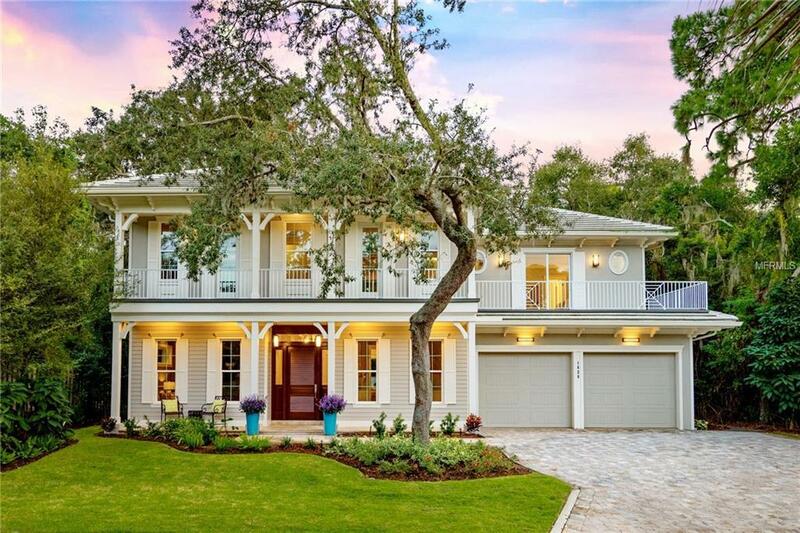 The sought-after location close to Downtown Sarasota & Southside Village, fabulous Coastal/Traditional style home & pretty lot w/over 10,000 SF, make a winning combination. This is a great family compound w/ many flexible spaces. Designed for living on the first floor & use second floor for guests, family, office & entertainment. 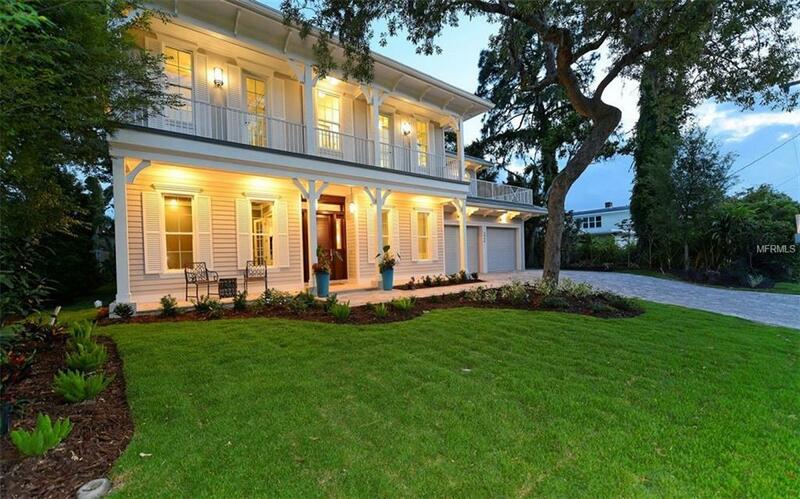 Another exceptional home by ARRO Development w/ Rosecorp Homes, J C Drafting & Design and Toni Vecchitto Design. First level features master suite, guest bedroom & bath, great room, open kitchen, separate dining & breakfast rooms, +library. The second level has a second master suite, opening to front deck & separate office/sitting room (opens to the bonus room), 2 other bedrooms en suite, & large bonus room. You will love entertaining in the open kitchen w/ large natural quartz island. Hickory wood floors, designer porcelain tiles & gas fireplace. Beautiful entry porch with Sapele wood louvered front door. Impact windows & doors, foam insulation, tankless water heater, sound insulation around bedroom & bath walls & many other energy efficient details. Huge lanai w/ covered veranda & outdoor kitchen, 30 pool w/ heated spa & outdoor fire pit. Beautiful pool lighting at night. Pretty, private fenced yard, room for kids & pets to play. 3 car garage (tandem). Property was listed prior to construction, reflecting many days on market.